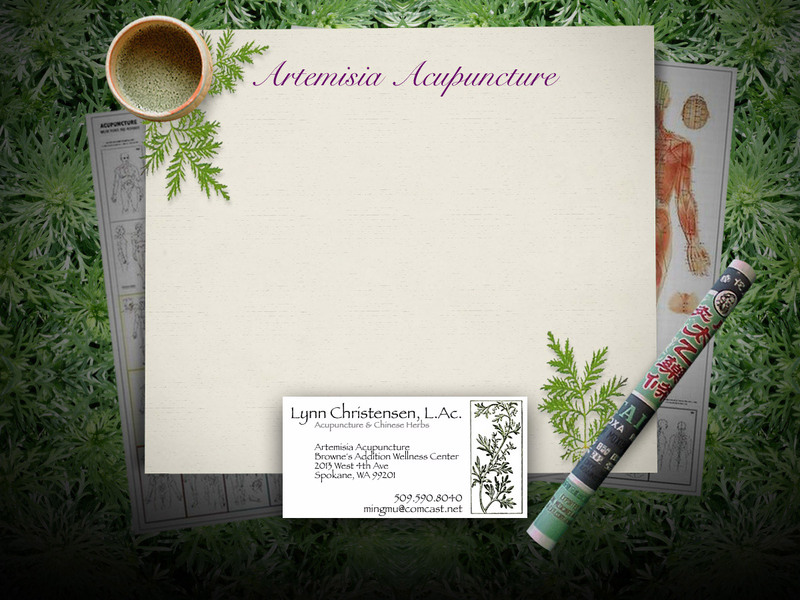 Welcome to Artemisia Acupuncture, the practice of licensed Acupuncturist and Herbalist, Lynn Christensen, L.Ac. I look forward to meeting you and discussing how acupuncture and Chinese Medicine can address and treat your health concerns. Acupuncture is the ancient Chinese medical practice of inserting very fine needles into specific points (acupoints) on the body to influence the movement of energy or Qi (pronounced "chee"). Acupoints connect via the channels, or meridians, to the organ system within the body. The needles open the "gates" under the skin that regulate the flow of Qi. The uneven flow of Qi creates disease, disharmony and pain. The goal of Chinese Medicine is to restore harmony and balance to the body through the regulation of Qi. Yet to be fully explained in a Western scientific sense, the Western biomedical view acknowledges the acupuncture releases natural pain-killing substances such and endorphins and enkephalins, histamines and neurotransmitters that block pain and increase blood circulation.